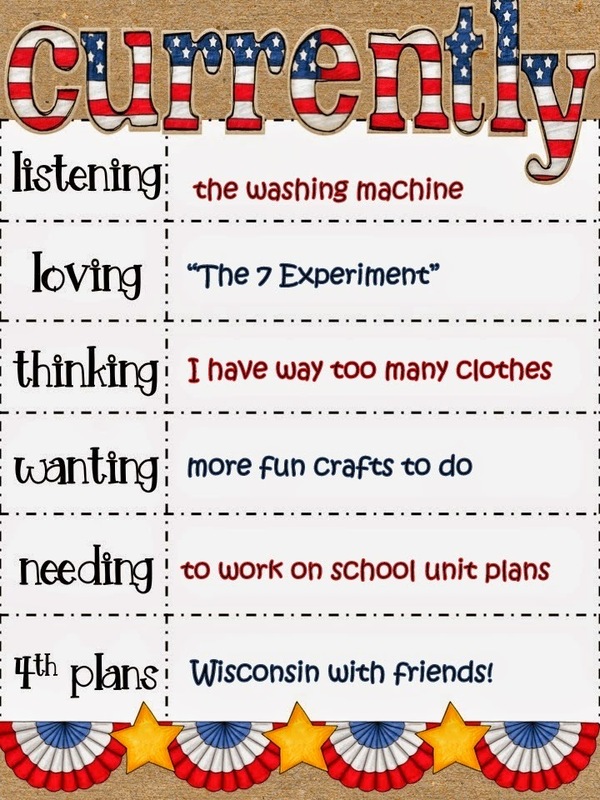 July Currently + $5 off at Educents! I love these monthly currently's with Farley. 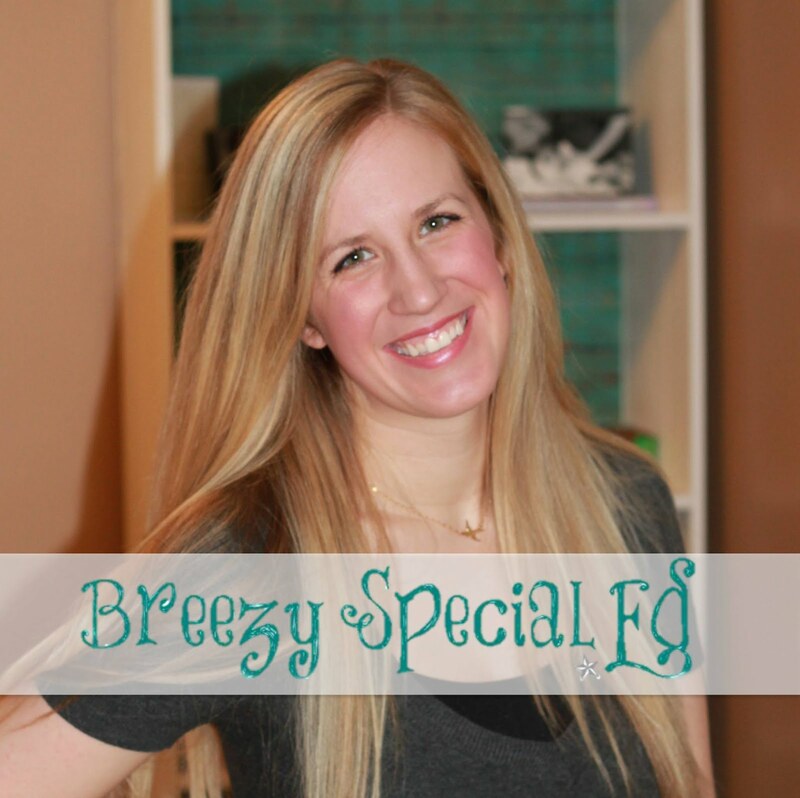 Go join the fun you haven't already! Loving & Thinking: So, I have been doing a book called The 7 Experiment by Jen Hatmaker with my Bible Study and wow is it amazing! I'm doing the Bible study version but there is a book too. Anyway. the idea is that we have way too much excess in our lives (especially in America) and this book helps us go through a week fasting through 7 different areas. I have done food and clothes so far. For food, I fasted from all processed and fast foods. Wow, I didn't realize how much junk I was eating! Now, for clothes, I am wearing the same 7 items of clothing all week long. I also counted all of the clothes (including accessories and shoes) in my closet...and I had over 425! So I've also been going through my clothes and getting rid of some stuff. Anyway, if you're looking for something to read this summer, check out her book! Now, here's a fun deal for you! 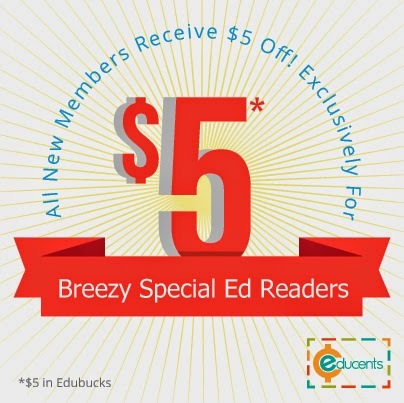 Educents is offering $5 for all Breezy Special Ed Readers (that's you!) Get your free $5 to spend on Educents by signing up with this link. You can even use it on digital downloads in order to get something completely for free (by not having to pay shipping). Wow, you are far more productive than I am on my week off! You should post some of these crafty things. Maybe then I'll be inspired. I hope you have a great trip, and enjoy your weekend! TpT Summer Sale Today and Tomorrow! !